I remember reading that they're working on a Boosh film - it's gonna be set in the Arctic, apparently, unlike the original Perrier show, Radio 4 Show, TV Pilot, TV Episode, Live show. I missed Zimbani - thought it might be on the web somewhere but I couldn't find it. Any good? I'm reserving judgement on the Boosh film - hope they do manage to get it together. With any luck it'll be as good as other classic British TV comedies turned to movies such as On The Buses. (okay, to be fair OTB was always shite). Have you seen the Boosh Future Sailors tour DVD? Any good? Julian Barratt sat in for Jarvis on Jarvis Cocker's Sunday Service yesterday . Haven't listened to it yet - not sure if it'll be your sort of thing but I'll give it a go. I was watching On The Buses the other week on Dave or ITV12 or something. They were showing the films. I didn't realise that Reg Varney was dead. He died in 2008 aged 92. I forget that he was 57 when he appeared in Holiday On The Buses. Sorry. I have killed this cool Boosh thread by going on about On The Buses. I'll drive all De Yoot away. 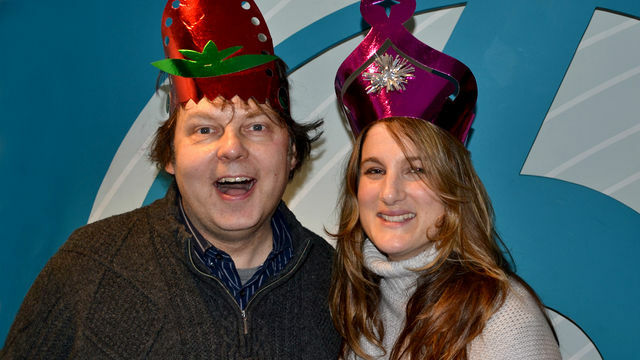 Apparently Rich Fulcher was on 6 Music yesterday morning, on Nemone's show . Not sure how much of it for. She chats to Peter Serafinowicz at the end of the show too. Weird cos he was talking about the Secret Policeman's Ball and mentioned a couple of sketches he was in which weren't on the broadcast version.